Queensland-based GaardTech has demonstrated the survivability and capability of the company’s training TARGET systems in live-fire trials with the Australian Army. 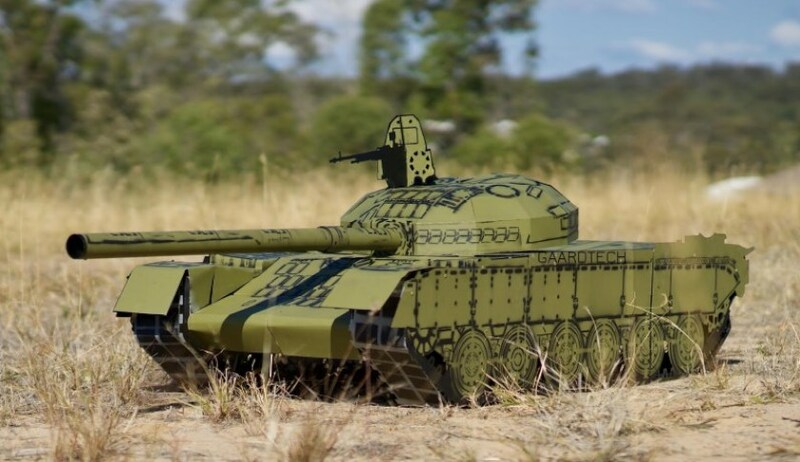 After the successful launch of GaardTech’s TARGETS (Tank and Reconnaissance Ground Enemy Target Systems) at Land Forces 18, the Australian Defence Force has moved quickly to put the veteran start-up to the test. The Australian Army purchased eight systems for M1A1 Tank and ASLAV live fire at the School of Armour in late November 2018. Furthermore, the Royal Australian Air Force has purchased surface-to-air missile (SAM) targets; which it is encountering in current operational zones. Steen Bisgaard, founding director, said, "GaardTech intends to work closely with its customer bases to ensure the enemy force target arrays which we provide replicates what they will see on the battlefield; not just in the visual and thermal spectrum, but radar, EW and cyber also." These systems will be put to the test in early 2019 and will enable RAAF pilots to identify and destroy high-value targets. In 2019, GaardTech is expanding its Brisbane-based fabrication and is taking aim at export markets with the attendance of IDEX as part of Team Defence Australia in Abu Dhabi. "Owning the best weapon system is historically not a safe laurel to rest on. Combat success and national security will only occur when the force operating it is trained to employ it against a thinking and motivated opponent," Bisgaard added. GaardTech will also be at the 2019 Avalon Airshow in late February, where Bisgaard has been nominated for the Young Innovator of the Year award as part of the Avalon Airshow Innovation awards. "To see the ADF purchasing and putting the targets to the test is extremely exciting and proves the training value and uniqueness of our product offering," he said. GaardTech, is an Australian-owned, veteran founded defence innovation company. Its product offerings range from full size, highly detailed metal 2D tank and AFV targets to full-size metal 3D robotic military targets, which all contain active thermal cells. What makes these metal military targets so innovative is their flat-packed transportation and shipping method, which sees 10 T-80 full-size tank targets packed into one 20-foot intermodal container. Finally, they are able to be hand assembled with no specialist tooling or lift equipment, enabling simple range set up and disassembly. They have been proven to withstand the punishment of the 120mm cannon, and provide training value and training design opportunities as they do not require fixed range infrastructure. Defence Connect spoke with Steen Bisgaard of GaardTech in 2018 to discuss the role of the company's target training systems in enhancing the combat capabilities of the ADF. The full Defence Connect podcast with Steen Bisgaard is available here.